WHY IS IT that the word “hair” doesn’t sound bad and can even sound good? But the word “hairs” always sounds gross, just by adding one letter on the tail-end. And if you add “short” before “hairs,” you’re in a whole different world. But even “hair” can be problematical. If you run your hand through the hair of someone you love, it’s quite nice, but if you find a hair in your sandwich, it’s nasty, even if it’s from the head of someone you love. What brings this to mind today? My new nose-hair trimmer. When I moved south of the Rio Bravo 15 years ago, I brought lots of things with me that I suspected would not be available here. One of those things was a new nose-hair trimmer, a Panasonic which worked great. Today I ordered a replacement from Amazon. In the years since I moved south, I have had two other trimmers, and neither worked well, certainly not like the Panasonic which was like the Energizer Bunny. I went to Amazon, found a Panasonic that resembled the one I had, and almost bought it. Until I read some of the reviews. Most were positive, but quite a few were negative. What most caught my attention were the many customers who said the new version is very inferior to my older version. So I looked at other options. Some are sold by companies that don’t ship to Mexico, so that limited my choices a bit. I finally settled on this baby. Why am I writing about this potentially disgusting topic? Because, as you get older, the world changes. One of the things that changes is that you have less hair on your legs and arms and more in your nose, ears and eyebrows. This proves the Goddess has a sense of humor. To make room for these growing patches in the nose and ears, the Goddess made those entryways larger, which proves she has a sense of balance and proportion. And I am older, hitting 70 last August. In case you missed the birthday post, it’s right here, entitled The Final Adventure because I did not move to a park bench in Topeka to feed pigeons. I moved to Mexico, which is an endless adventure. Amazon says I should get my trimmer between the 12th and 17th of February. It will be delivered to my post-office box. In the meantime, if you see me in the street with hair protruding from my nose and ears, be aware that I’ll deal with it as soon as the package arrives. Apologies in advance. Señor Calypso: One can never have too much information. It just makes one brighter and more well-rounded. Trust me on this. I read a NYT article about homeless in Silicon Valley. Someone made a short documentary film, the point being that there are so many in the shadow of some of the richest companies in this country. Some pay the fare to ride a bus that travels for 1-1/2 hours one way between two of the towns which gives them a safe, dry, semi-comfortable place to sleep between about 8:30PM and 8:30AM. I am reminded by your post of how those men could use some of that trim equipment before their next close-ups. Carole: Ah, the final sentence made your comment relevant. Up to that point, I was wondering where you were headed. And then you got there. Yes, trim gear is essential for the well-groomed retiree and well-groomed vagrants as well. Same in Spanish. You can say “pelo” anytime and everywhere but saying “pelos” can be offensive to some people. Gracias, Carlos! That was one aspect of Spanish I had yet to learn. In other words, I did not know that. The things that go into a septic tank, now nose hair. What’s next — navel lint? Ms. Shoes: Let us not confuse the new septic tank (or more like a old-fashioned cesspool, it turns out) in the pastry workshop with the bathrooms in the main house. The latter are connected to the municipal drainage system. There is no septic tank. And we’ll continue washing hair, trimming noses, beards, butts, all that sort of stuff, in the Hacienda. I delegate hair trimming to the nearest Mexican unisex beauty shop for $2.35 a week, which includes shave, haircut, and trimming eyebrows, nose and ear hair. The ladies have much more hair to cut with legs, underarms and electrolysis hair removal for facial hair and other areas. Andrés: My haircut lady once, without being asked, trimmed my ear hair, but she did not venture into my nose, which I am happy for. Some places I just want to tend myself. I don’t know why she only did it once, but I imagine it’s because I usually keep myself trimmed in those places. I am reading about your nose hairs, toilet habits and such. It should not be, amigo. Laurie: It’s that or more rants about collectivists and Mohammedans. Which do you prefer? I would prefer the nose hair information over your political rants. But then, by your definition, I am of the collectivist bent. And you are a collectivist, though of a quite amiable variety. 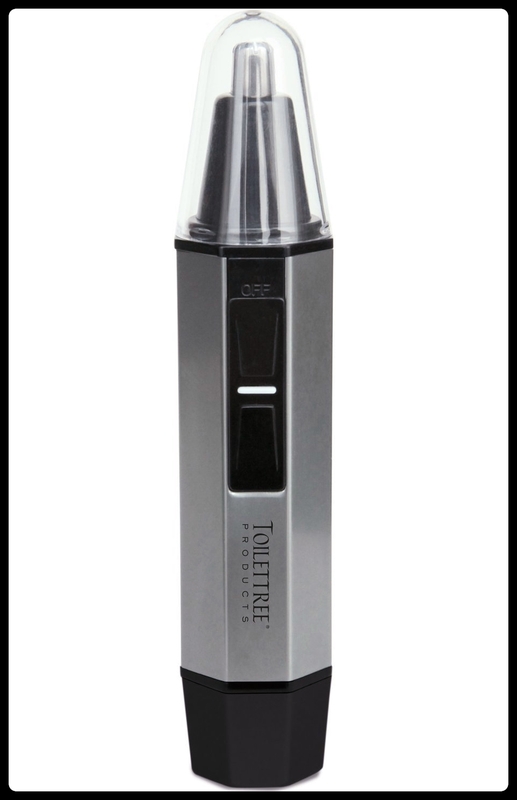 Electric nose hair trimmer!?!? I’ll bet that there aren’t more than a dozen real Mexicans who have electric nose hair trimmers in the entire country. Sheesh… and all this time I thought you really did live like a Mexican. I may have to reassess that opinion. Where we have no such appliance and never will. Kim: You don’t have one and never will. Ha! Get back to me in about 15 years. We’ll see about that, young fellow. Especially since, uh, “you people” are unduly fixated on appearance. And I betcha more Mexicans have a nose trimmer than you think. They are easy to find here. The problem is that I’ve never seen one sold separately. You always have to buy an entire, pricey kit that comes with machines to cut hair, lots of barber stuff. I have one word for you, sir. Scissors. Cuticle scissors to be precise. They are low tech and efficient. Señor Cotton: Those scissors certainly work, but a good trimmer works far better and is much quicker and easier. If you’ve never tried one, I urge you too.